Pixar movies are known for two things: being consistently excellent, and making you cry your face off. The Science Behind Pixar, now on view through April 16 at the California Science Center, thankfully delivers on only one of these. With more than 40 interactive exhibit elements taking you in-depth through every phase of production, The Science Behind Pixar amply demonstrates the meticulous attention to detail that has made Pixar what it is: Modeling, Rigging, Surfaces, Sets & Camera, Animation, Simulation, Lighting and Rendering—no one does them better than this branch of Disney, not even the mothership itself. 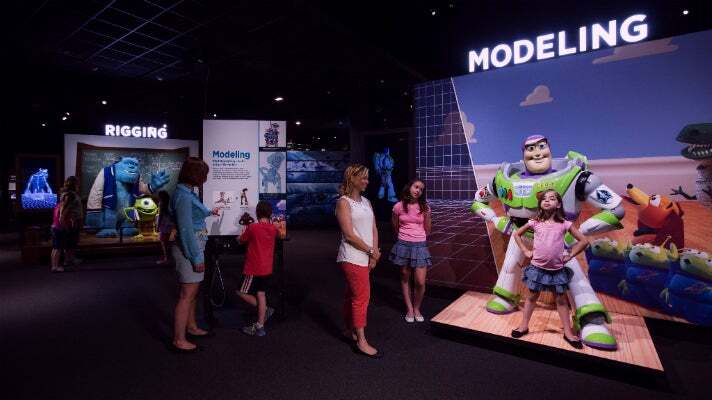 Each section of the 12,000 square-foot exhibition puts visitors in command of one of the interlocking aspects of animated filmmaking that brings Pixar’s worlds so vividly to life. You can tweak lighting, shapes, the joints of animated bodies, the factors that influence the growth of virtual vegetation, and the many textures and surface skins that can be applied to animate and inanimate digital objects. Kids will be thrilled at this magical power, and will be completely absorbed in experimenting to see how real animators achieve different results. Actual Pixar employees are a presence throughout the exhibit - they explain their work via short videos. 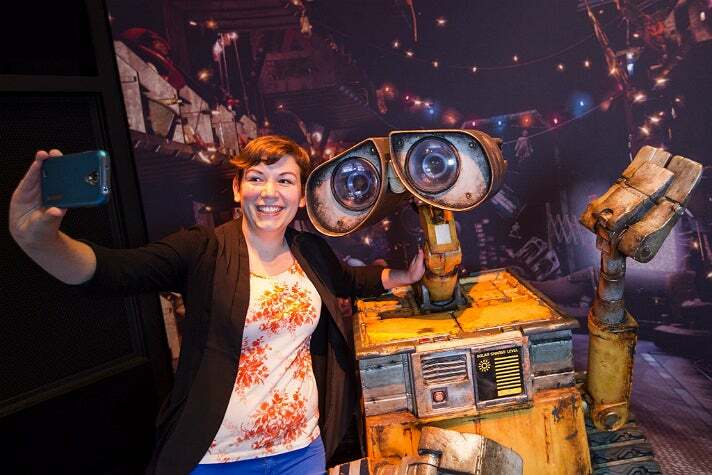 It’s great to see a diverse workforce represented, and children may be inspired to consider an animation career after seeing someone they relate to on screen. 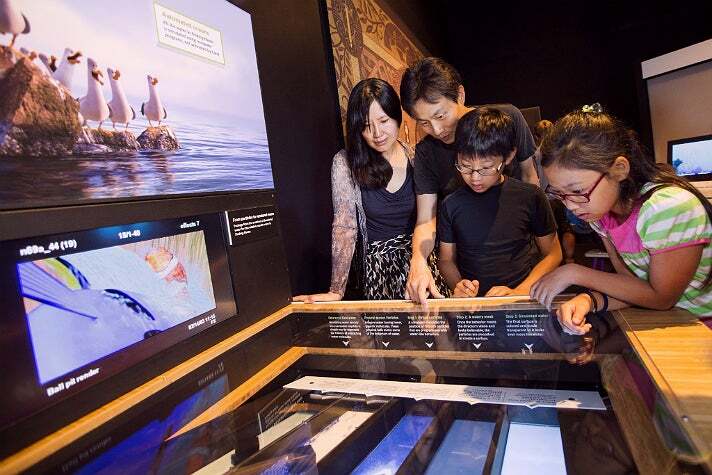 Most importantly, science and technology are well-integrated into the exhibit, both via these videos and the hands-on portions. Aspects of geometry, physics and computer science are ever-present in this work - kids have been overheard making the connection between what they did at the exhibit and, for example, their math homework. Adding to the excitement are human-scale statues of beloved Pixar characters such as Buzz Lightyear, Dory, Mike and Sulley, Edna Mode, and WALL•E, all ready for their selfie-closeups. All in all, the exhibit is more than worth the separate ticket price of $14.95 for adults, $11.95 for students and teens, and $9.95 for children. That same ticket also gets you in to see the Space Shuttle Endeavour without having to make a timed reservation. Top that off with an eye-popping science-themed IMAX film (now playing: Journey to Space, A Beautiful Planet, National Parks Adventure, all in 3D), and the Science Center’s permanent exhibitions, and you have the perfect afternoon of mind-expanding fun. Tickets to The Science Behind Pixar are timed and valid only for a specified admission date and time. Entry times start at 10 a.m. The last entry time is 3:30 p.m. 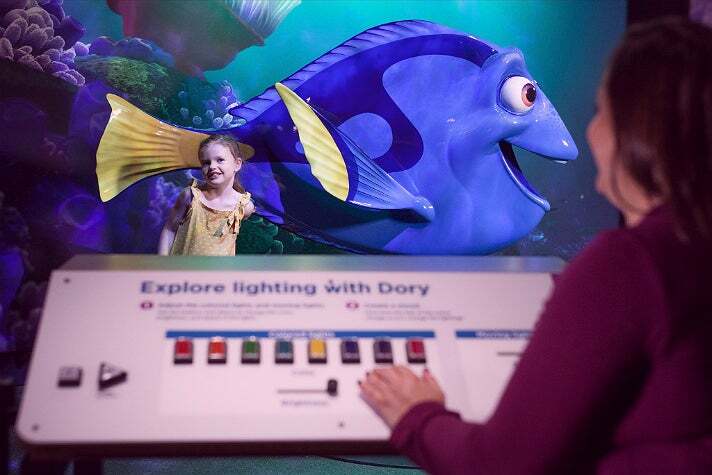 The Science Behind Pixar is on view at the California Science Center through April 16, 2017.